Toyota Alphard is a luxurious minivan, first time produced in 2002. At the moment 2014 Toyota Alphard is made for Japanese market and it’s sold in some other Far-East countries and Russia, Bahrain and Oman. It’s name comes from a star called Alphard in the constellation of Hydra. 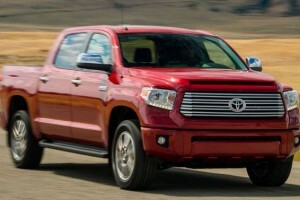 This Toyota model is famous for mixing spacious interior with luxury and high comfort. Interior looks like it’s made for a private jet, instead for a mini-van. 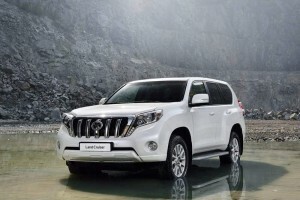 Fine-crafted, power-adjustable leather seats that can become an ottoman in no time in the first and second row are as luxurious as it gets, with ten inch rear roof monitor and plenty of space around, Toyota really gave much thought on making comfortable surroundings. Seats also can be heated, ventilated and believe it or not they have a massage option. It can fit seven or eight people inside, sitting in three rows with first two rows having a moon roof. Toyota Alphard has 3.5 litre V-6 dual VVT-I or 2.4-litre L4 DOHC VVT-I for Hybrid version and Alphard 240 with 2 or 4WD. 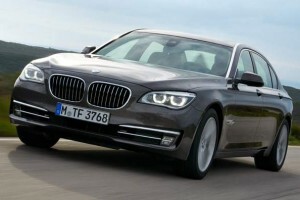 Hybrid version has an ECO driving mode and qualifies as ULEV (Ultra Low Emissions Vehicle). 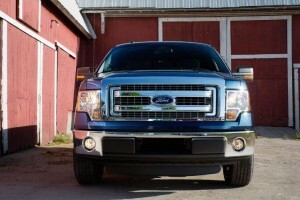 It uses special hi-tech by-wire technology which for the breaks. 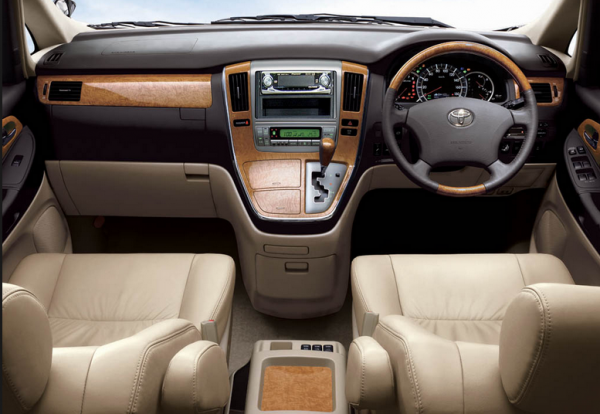 Hybrid version of Alphard generates up to 1500 watts and it-s possible to use various electric appliances while on board like lap tops, various lights etc. Toyota also invested a lot in safety of this model. 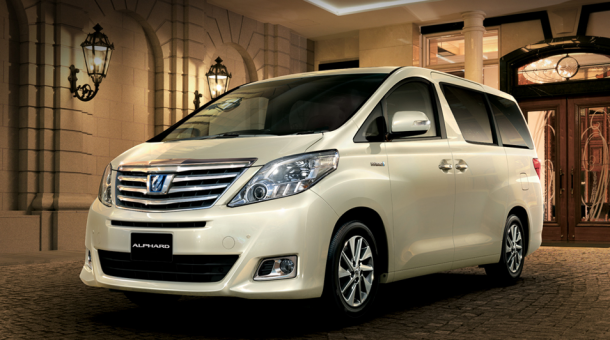 It has eleven air bags, active head rest on front seats, AFS headlamps, parking sensors on the front and rear side of the car as well as rear camera and a number of safety features that make breaking into an Alphard literately impossible. Since this car is sold only in Japan and some other Far-East countries it’s necessary to order it and pay the shipping costs, plus the customs fees. Prices go from $42,400 for a 2400cc, 2WD, 8 seater up to $54,400 for the 3500cc, 4WD, 7 seater. 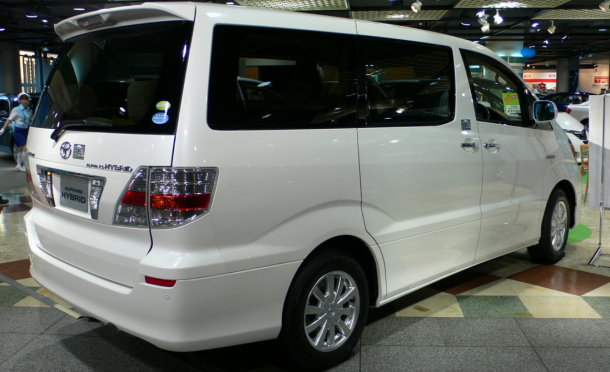 2014 Toyota Alphard is a bit over-priced, but highly comfortable and luxurious mini-van. It’s great if you are rich enough to treat your family with this kind of ride, and Toyota really thought about everything when designing this model, it even has air purifier and triple zone automatic climate control with polen filter. 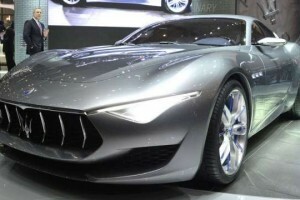 Unfortunately for the time being this car is only sold in Asian countries so the shipping costs make this pricey car even more expensive, but if you never ride in a private jet before this would be the closest you’re going to get to that while being on the road.